All the stars who dazzled the BAFTA red carpet recently, right here! 12 Years a Slave actress Lupita Nyong'o was christened fashion's favourite child as soon as she made striking appearances at various award shows, carrying off bold colours, classic silhouttes, and pretty much everything in between, with effortless ease. This gorgeous teal Christian Dior couture gown she paired with Ana Khouri jewelry, and Christian Louboutin shoes, to the 67th BAFTA awards on London on February 16 was in a league of its own. Take a look at more head-turning fashion we spotted on the red carpet. Actress Uma Thurman revels in the fierceness of her black strapless number from Atelier Versace. It was all about power play for the stunning Angelina Jolie, as she arrived in a formfitting Saint Laurent by Hedi Slimane tuxedo to match partner Brad Pitt's. American Hustle star and Best Actress nominee Amy Adams finally gave her plunging necklines a rest for the Brit awards night. She looked fetching in her Victoria Beckham gown. The most outrageous outfit at the awards (by British standards, of course) went to Lily Allen. The English recording artist made quite an entrance in her hard-to-miss Vivienne Westwood gown. British actress Imogen Poots stood out in her deep red gown with risque cutouts. By far, the only adventurous style we spotted at the do. Blue Is The Warmest Colour star, French actress Lea Seydoux took some risks in her boue Prada gown with a sheer detail and a plunging neckline. Naomi Harris, who starred in Mandela: A Long Walk To Freedom along side Idris Elba, had our jaws dropped in this eye-catching Gucci number that featured a plunging neckline AND a high slit. Maggie Gyllenhaal turned up her charm in a demure deep blue beaded gown and red lips as she arrived on the red carpet. Actress Michelle Rodriguez flaunted her decolletage in a green gown with interesting leather accents at the do. Emma Thompson may have lost out to Jennifer Lawrence but she was in her element through the night. While she arrived in a massive white coat, the red gown underneath it was glamorous too. 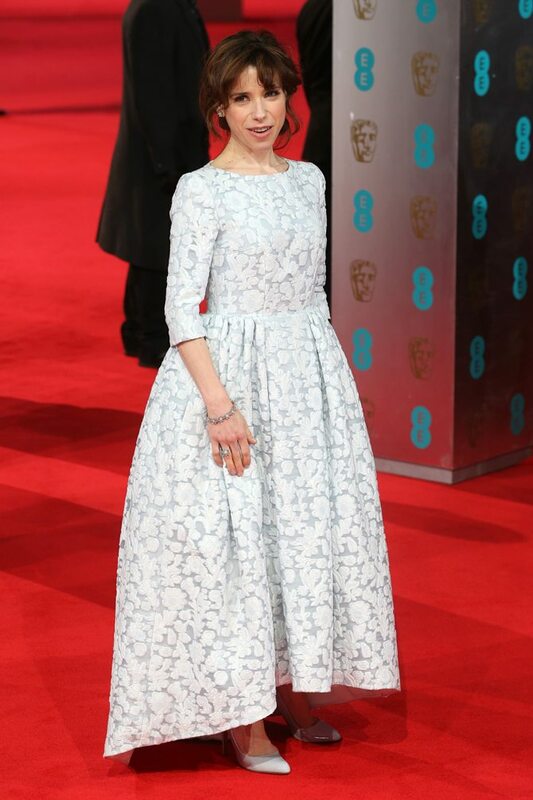 Blue Jasmine actress Sally Hawkins had a bit of a misstep in her oddly-fitted, matronly Mulberry gown. BAFTA 2014: Cate Blanchett, 12 Years A Slave, Gravity win big! Will Jennifer Lawrence win her second Oscar this year?